The G12H utilizes a heavy magnet (H - Heavy), providing superb control over low frequencies. It produces greater midrange than the G12M with its medium (M - Medium) weight magnet. The definitive 4x12 in. 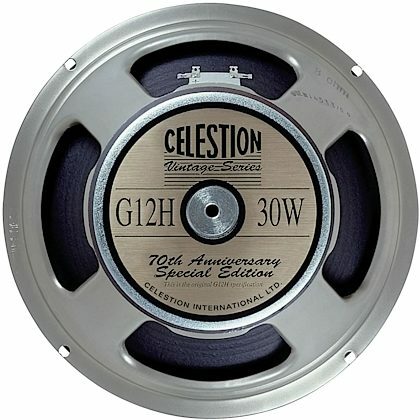 speaker of the 1970's, the G12H was used by all the classic rock bands of the day. zZounds is an authorized dealer of Celestion products. close [x]More ExpectedWe have been given a date of May 2 for the arrival of this item. This date is not guaranteed, rather an estimate based on either information obtained directly from the manufacturer or historical delivery data for the specific manufacturer.